As noted late last night, it didn't take long after West Side Story's closing notice to be posted for producers of the international hit musical Priscilla Queen Of The Desert to announce that the glittery show would occupy the newly vacant space at Broadway's Palace Theatre come February. Back in December 2006, I first caught and enjoyed this ultra-campy disco jukebox musical version of the film with music not too long after it enjoyed its world premiere in Sydney, Australia. The show eventually moved on to London (where it is still performing) and is now slated to come to Great White Way by way of Toronto, where it begins previews October 12. The production will star Will Swenson (Hair) as Tick, Nick Adams (A Chorus Line) as Felicia, alongside the extraordinary Tony Sheldon, who originated the role of Bernadette in Sydney. But like many other shows, the road to Broadway -- to say nothing of the rocky roads within Australia -- provided a very bumpy ride that wasn't all sequins and tiaras. In July 2007, I detailed the dramatic twists and turns as they were recounted to me from someone very close to the original production in Sydney. Like I said just over three years ago, "At least when the day comes when Priscilla Queen Of The Desert - The Musical is about to open on Broadway, you'll have a greater appreciation for how it got so far." Priscilla Queen Of The Desert begins preview performances at Broadway's Palace Theatre on February 28, 2011, and opens March 20. 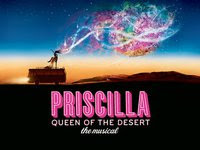 I'm excited about Priscilla, although reading back through all the long and winding history - wow. You get a sense of the changes a show can go through. I'm hoping it's more like the movie now, which I did enjoy. 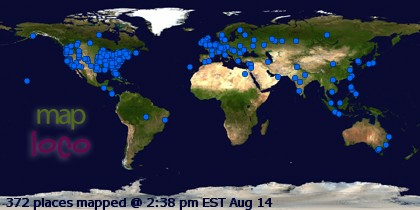 And I'm hoping there's still a bus onstage. Of course, it can't be too much like the movie or the critics will rip it up for lack of originality. But the bus is still in the show. I just saw it in London and LOVED it....so excited to see it in NY!!! I have little doubt but that it will be a hit. So glad to hear those who have seen PRISCILLA have enjoyed it! I'll be detailing the progress of the transfer and some of the goings-on with the production over on my blog. I'm very much looking forward to what you all think of show in its Broadway incarnation.